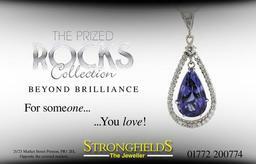 We carry a large and varied selection of genuine gemstone jewellery, in yellow or white gold and also in sterling silver. We source the finest, semi-precious and precious gemstones from around the world, using the most reputable and trusted sources, to bring you beautiful jewellery at affordable prices. 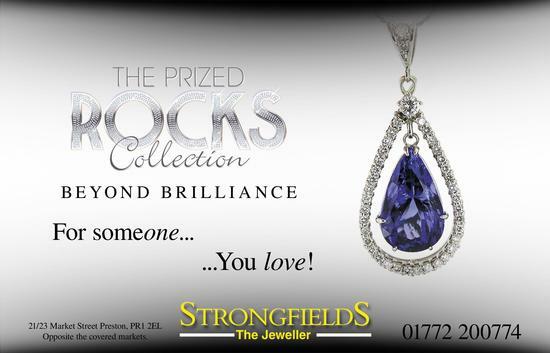 From the more popular birthstones such as topaz and citrine, through to some of the rarest, most unusual gemstones on the planet such as tourmaline, tanzanite and kunzite, our collection attracts interest from around the world. We have a huge selection of hand-crafted rings, pendants, bracelets and earrings available to buy from our ready made selection at unbeatable prices. The majority of our gold gemstone jewellery is made in our own workshop by skilled craftsmen. After setting and finishing, each piece we make is hallmarked at Birmingham assay office where we are registered.